Birgit Gerstensberg, representative for South America of the Office of the United Nations High Commissioner for Human Rights, expressed her satisfaction with the work agenda fulfilled in the Latin American country. “I have only to catalog this day as successful,” said the delegate during the talks with the Venezuelan Foreign Minister. The visit of the United Nations technical team arose in response to the invitation made by President Nicolás Maduro to the UN High Commissioner for Human Rights, Michelle Bachelet, on November 26, 2018. 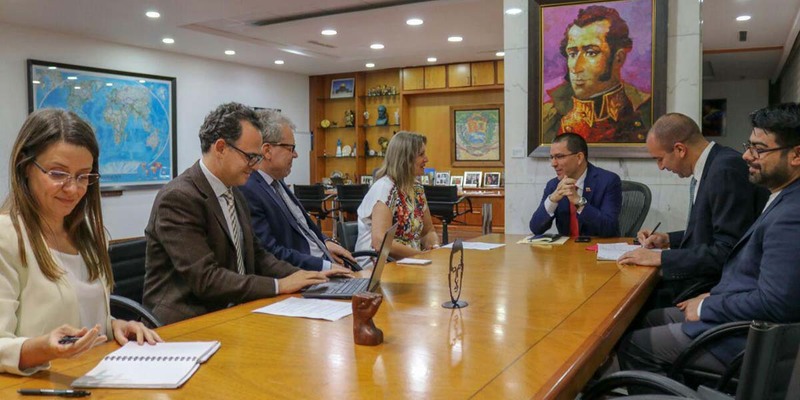 Last March 11, Foreign Minister Jorge Arreaza received the members of the Mission in his office, in a day of coordination and exchange of information on human rights and social protection policies in Venezuela.